Puma Model 959 & 996 Patent Jagdmesser. The 959 was made in 1972 & the 996 was Made in 1973. These Knives Came from Puma Custom Shop Made for the Kranichsteiner-Line. 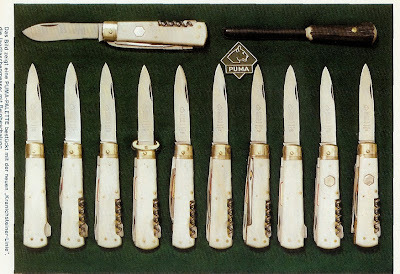 They have Polished Bone Handles Instead of Stag & Brass Bolsters Instead if Nickel Silver. 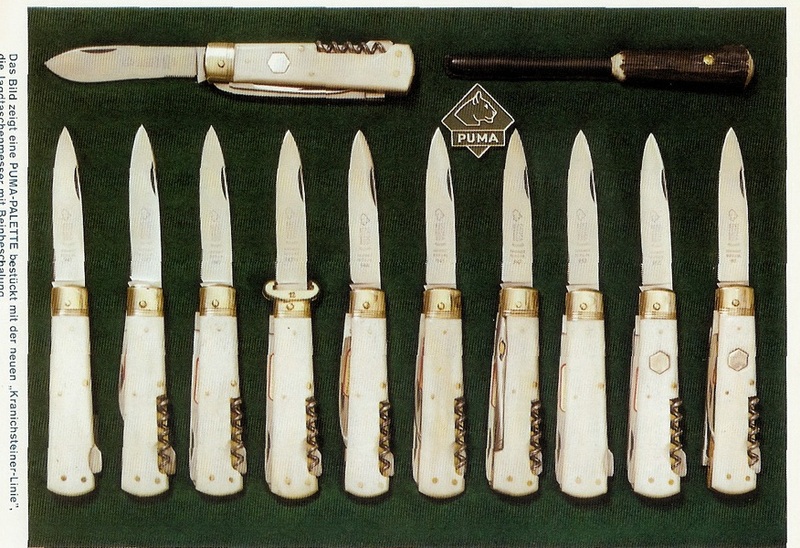 All of the 900 Series Jagdmessers That Puma was Producing at the Time, the 941, 942, 943 ETC. Were Made in This Style for the Kranichsteiner-Line. Extremely Rare. Approximately Only 100 TOTAL of these were Made For the Entire Line.